Extend the pristine condition of your GCE Zen-O portable oxygen concentrator, while enjoying a comfortable carrying method with the Zen-O carry bag! The carry bag provides an additional medium for transporting your Zen-O medical oxygen device, in addition to the wheeled travel cart. 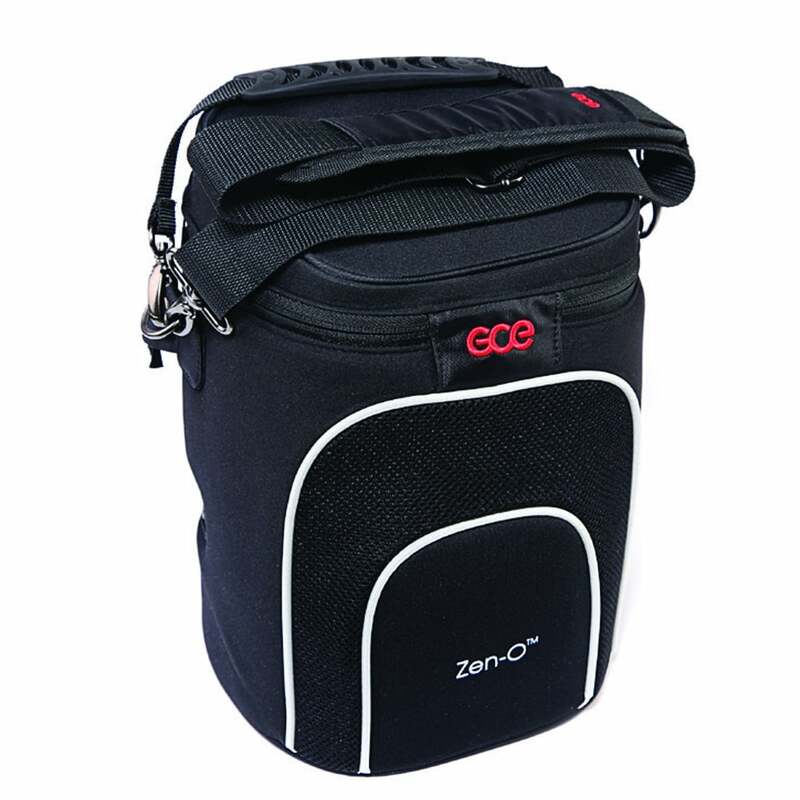 Rather than pulling your GCE Zen-O around, the carry bag will enable you to support the unit as a shoulder bag. For those of you that prefer to personally carry your supplemental oxygen concentrator, you will absolutely love the Zen-O carry bag. Featuring an adjustable and padded shoulder strap, you can adjust the fit of the carry bag to your exact preference. Providing you with nothing but an enjoyable and comfortable experience! You won’t have to remove your Zen-O from the carry bag anytime you would like to access the control panel. Instead, the carry bag features a transparent protective window for instant access to the control panel. This will allow you to adjust your flow rate in seconds, or to check your remaining battery life on the battery gauge. You will also have absolutely zero problem with connecting your nasal cannula to your Zen-O device while using the carry bag. As the bag features a cannula port cutout to allow cumbersome free operation. If you do decide to use the wheeled travel cart from time to time, the carry bag is the ideal companion. Specifically, the carry bag attaches directly to the travel cart to provide a secure hold while on the go. In order to provide the best experience, the Zen-O carry bag offers an expedited method for removing and inserting the Zen-O device into the carry bag. With a zippered top pocket, you can insert or remove your device from the carry bag in mere seconds! The zippered pocket also ensures that your device stays securely in the bag at all times.